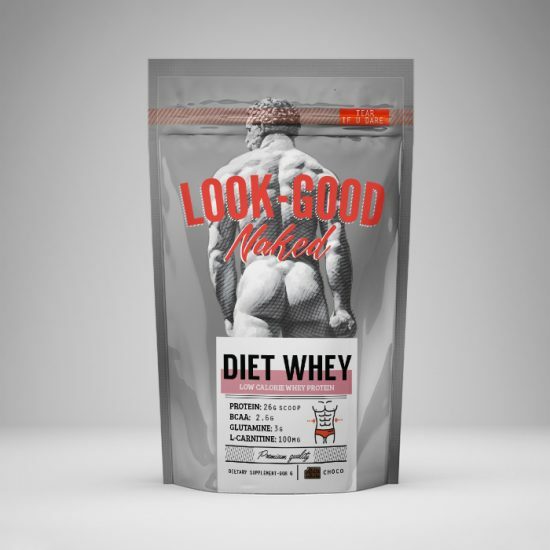 Diet Whey is the ideal protein powder for men and women looking to ‘tone up’. If your goal is to lose some weight whilst developing and maintaining lean muscle mass, diet whey is the perfect supplement for you. Numerous studies show that Whey protein can help you increase strength, gain muscle and lose significant amounts of body fat. So, if you are on a calorie deficit diet, Diet whey is the perfect addition to your diet, because it will make sure your body gets the right amount of nutrients for its everyday needs. It only contains Whey protein (WPC 83%) and no other inferior types of protein like soy or just milk protein. Whey is a top quality and fast acting protein that contains an incredible range of essential amino acids, which are absorbed quickly by your body, preventing muscle catabolism & therefore increasing muscle growth, enhancing recovery after workout and helping to preserve your energy levels high. Moreover, Whey is the most fulfilling macronutrient (it keeps you full for longer time), so it helps weight loss by reducing appetite (calories in), while at the same time it boosts metabolism (calories out). Studies have shown that replacing other sources of calories with whey protein, combined with weight training, can cause weight loss of about 4 kilos, while increasing lean muscle mass. Finally the diet Whey blend also contains CLA, L-Carnitine and Konjac-Mannan Root fiber, all of which are potent fat burning ingredients, used successfully within the fat loss and weight management process. You should be consuming Diet Whey immediately after your workout to fuel your muscles, and also you could use it as a healthy alternative to snack between meals. Consume 1 to 3 times daily. Add one scoop (25g) to a glass of water, shake and drink. You could use less liquid for a thicker and stronger tasting shake, or you could use milk (cow/almond etc.) or Greek yogurt to create a shake with a creamier taste. If you need to seriously cut down on calories and fat, you could consume it along with a fruit (e.g. banana, apple), as a low calorie meal replacement.